Bhagavad-gita 15.10 by HH Prahladananda Swami (Health Resort Vita Mores, Saint Vlas, Bulgaria, July 18, 2012). from Lilasuka Das on Vimeo. Notes: Maya Arrests the Enjoyer and Puts HIm or Her in the Prison of False Ego. The Real Problem is Avidya. We do not know what is going on. Today the give and take policy is very prominent: You give to me and I take from you. We sent our bombs as liberation. Now there is peace, no movement. Bomb liberation? Bhagavad-gita 13.26 by HH Prahladananda Swami (Health Resort Vita Mores, Saint Vlas, Bulgaria, July 16, 2012). from Lilasuka Das on Vimeo. Bhagavad Gita 11.36 by HH Prahladananda Swami from e-narayan on Vimeo. Padayatra address given on July 5,2011 in Slovenia. 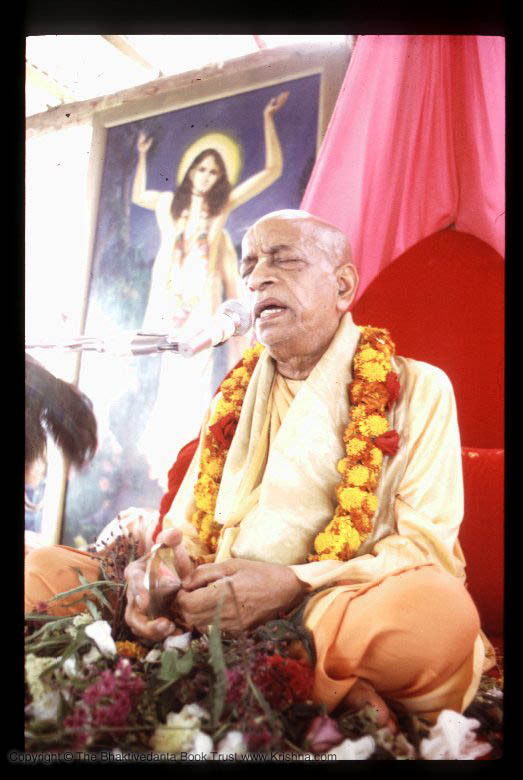 Lecture on Bhagavad Gita 11.36.